It all depends on what side of the fence you sit on. If you decided to pour all your money into the market close to the top, then it would be viewed as a tragic event. If on the other hand, you got in early and as the market trended higher, you banked some of your profits then it would be viewed as a splendid opportunity. Crisis investing dictates that all disasters are nothing but opportunities, change the lens and the picture changes. The main uptrend line is indicated by the solid blue line (last line in the chart above), but we put in a dotted navy blue line for those who would insist that the uptrend line could be drawn through secondary point. Whichever uptrend line you choose, you can see that this point holds true, the greater the deviation, the better the buying opportunity. Look at the chart above; who won the from 1990-2016, the bears or the bulls?. This chart is a clear illustration that the Doctors of Doom only make their money by selling the masses crap they would never dream of using. The purple dotted line (4th line to the top on the chart) provides a guideline as to future market price action. However, to be conservative, we drew in two lines. The navy blue one (3rd one) indicates that the Dow should easily trade to the 19,500 plus ranges in the not too distant future as long as the trend is up. 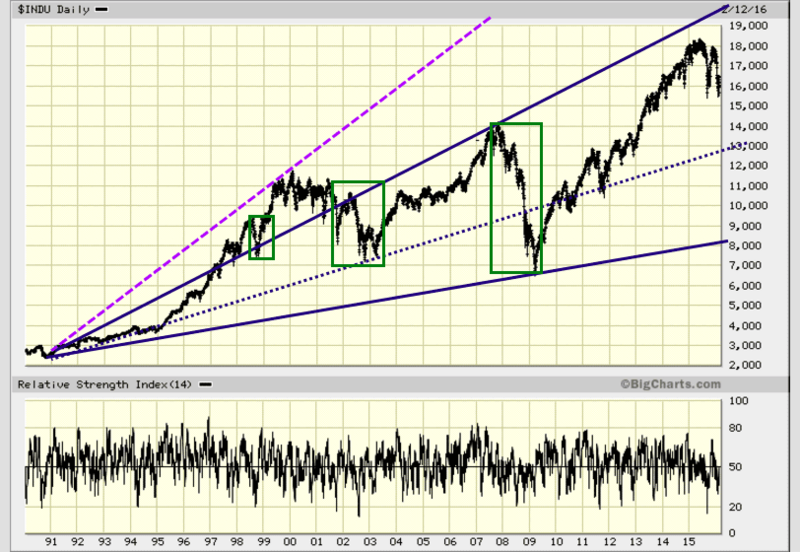 The 4th line (purple dotted line) suggests that the Dow could trade past 25,000 before this bull market is over. Note that we base everything we do on what in-house trend indicator: all other indicators even if some message appeared in the sky stating that the Dow would crash tomorrow take on a secondary role. Who won the war from 1990-2017, the bears or the bulls?. Even the terrible and devastating crash of 1987 turned out to be buying opportunity, and not a disaster as. The naysayers and doctors of doom were wrong once again. Hence, you have clear proof that the Doctors of Doom are good at only selling you crap they would never dream of using themselves. Do not deploy all your funds into the market when the bull is mature. Wait for a strong pullback before getting in. Crowd psychology states that you should be wary when the masses are happy and vice versa. You have to have stops in place, just in case the trade does not work out. 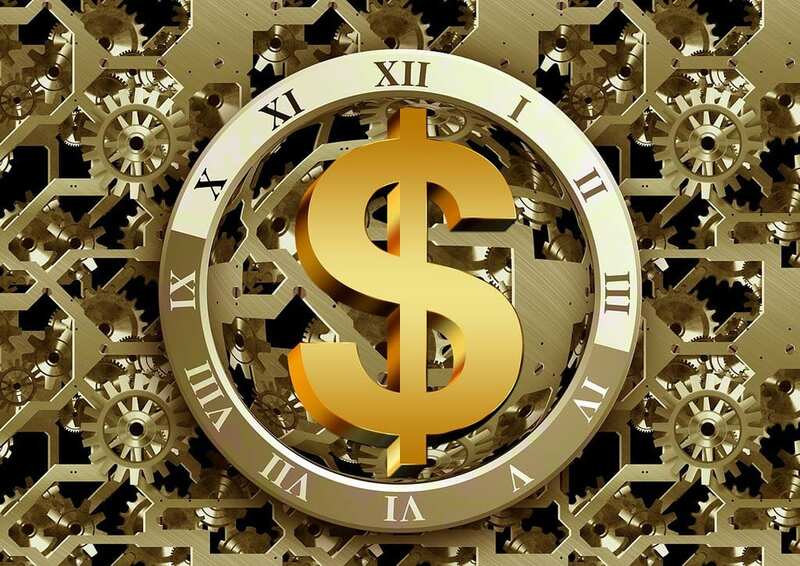 As the profits start to roll in, take some money off the table and put it aside for future opportunities; for example, purchasing stock after a strong correction. Fear is in the air, and many strong companies are trading at attractive levels. The ball is in your court, compile a list of strong companies you always wanted to get into and slowly commit some funds to them. Or you could sit down and do what you have been doing all along and hope for a different outcome. Doing the same thing over and over again and hoping for a new outcome could be construed as being insane.